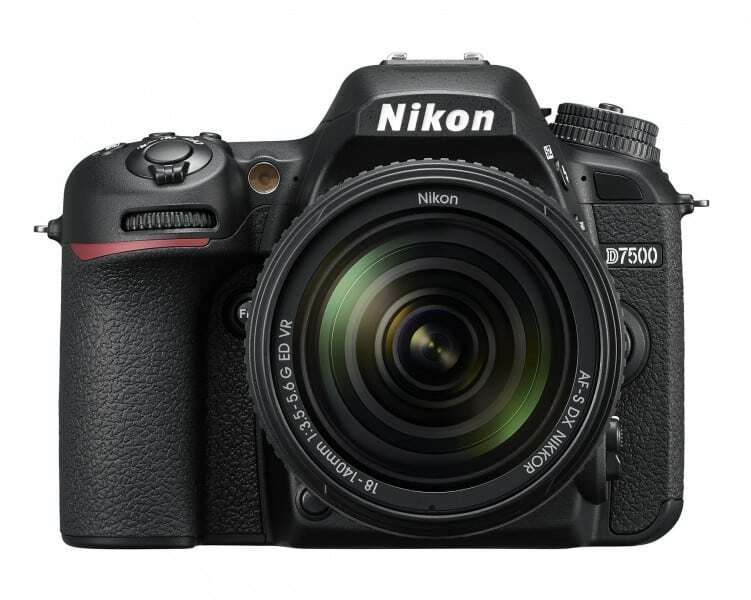 If you’re a big fan of Nikon’s D500, you’ll love its younger sibling: the new D7500. 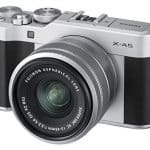 It’s built with the same processor, sensor, and ISO range of its predecessor, so you know you’re buying a high-quality DSLR camera that produces clear and sharp images and does the job quite well. The D7500 is designed to be versatile so, whether you shoot sports matches, capture glamorous portraits, or do wildlife photography, it can be a good companion for you. The Nikon D7500 is built to be tough and rugged, so you don’t have to worry about bringing it with you on exciting adventures and using it in rough conditions. It uses a Monocoque design, which means it has a durable outer shell that provides support for its inner parts. It’s also provided with extensive weather sealing, which allows it to withstand heavy handling as well as exposure to dust and moisture. 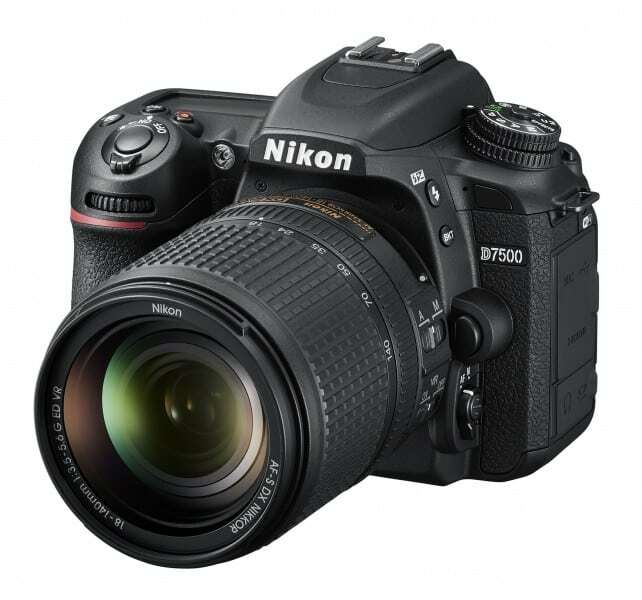 Even with its durable build, the D7500 has a slim, ergonomic profile that makes it easy to handle. It’s also lightweight; at just 640 grams (camera body only), it’s around five percent lighter than the Nikon D7200 and 16 percent lighter than the Nikon D500. The D7500 comes with a slim 3.2-inch 922K-dot touchscreen LCD that can be tilted up or down, depending on the camera angle you want to use. It also has a built-in pop-up flash that uses scene analysis technology to provide you with the right amount of light, and it has an EN-EL15a rechargeable Li-ion battery that can take around 950 shots on a single charge. The Nikon D7500 is powered by a 20.9-megapixel, 23.5 mm x 15.6 mm DX-format imaging sensor that it inherited from the Nikon D500. The sensor teams up with the EXPEED 5 processing engine to give the camera an 8 fps continuous shooting capacity with full autofocus and auto-exposing. The D7500’s continuous shooting feature lets it take up to 50 14-bit lossless compressed RAW frames or 100 JPEG Fine frames. 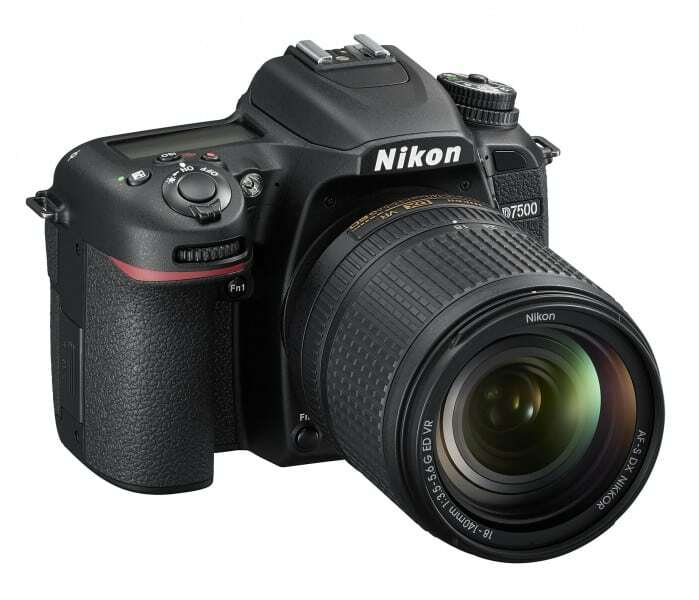 It has an enhanced buffer performance that allows it to continue capturing up to 50 RAW images while previous RAW shots are being stored on the memory card. Its 51-point AF system gives it excellent low-light ability, while its 180,000-pixel RGB sensor helps it have excellent AF performance when taking high-speed shots. Like many modern cameras, the D7500 doesn’t have an optical low-pass filter, so you can take clear, sharp, and high-quality images at all times. The Nikon D7500 can capture 4K Ultra HD videos up to 30 minutes, making it a must-have if you’re a budding filmmaker or simply want to experiment with 4K footage. Aside from 4K, you can take HD and full HD videos, and you can choose to record them in MP4 or MOV formats. The Nikon D7500 will be available in Summer 2017, although you can preorder it today on nikonusa.com and other online retailers. The body-only package is offered at $1,249.95, while you can get the body plus an AF-S DX NIKKOR 18-140mm f/3.5-5.6G ED VR lens at $1,749.95.